Our Marketing Representative, Sabena Schmidt, participated in the BOMA 2017 Wine Excursion to Temecula. 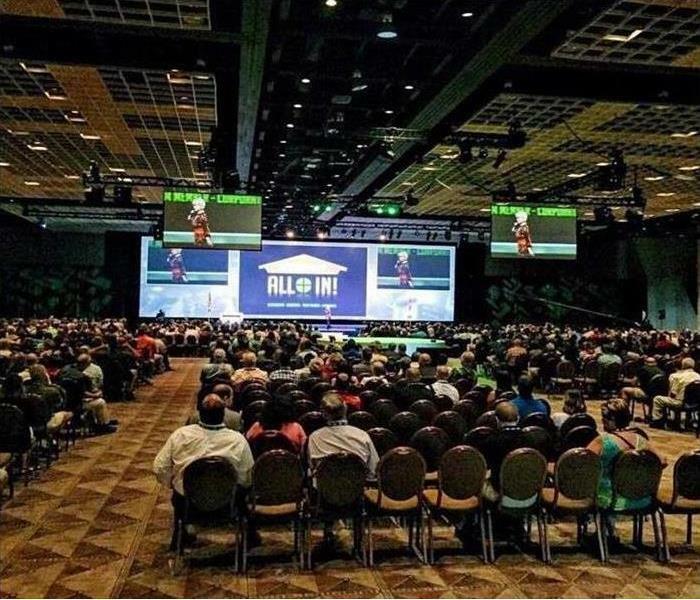 Participants included property managers, facility managers and vendors. It was a great day to network, while enjoying delicious food and wine! As active members of the Chamber of Commerce here in Riverside we try to bring new and exciting things to each event. The latest Chamber mixer was a great success and we had the privilege of providing the door prize filled with lots of goodies including some red wine. 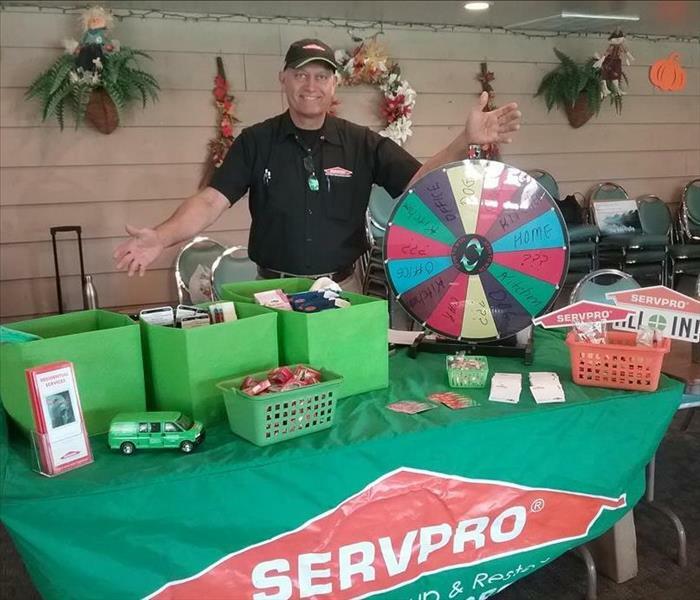 SERVPRO owner Tom Schmidt and marketer Sabena attended an Advertisers Fair at Riverside Meadows along with 10 other companies and approx. 43 residents visiting with us. Most of the activity was at the SERVPRO table where the residents got to spin our Wheel of Fortune for giveaways. We hope everyone had a good time and learned more about who we are and how we can help when the unexpected happens. 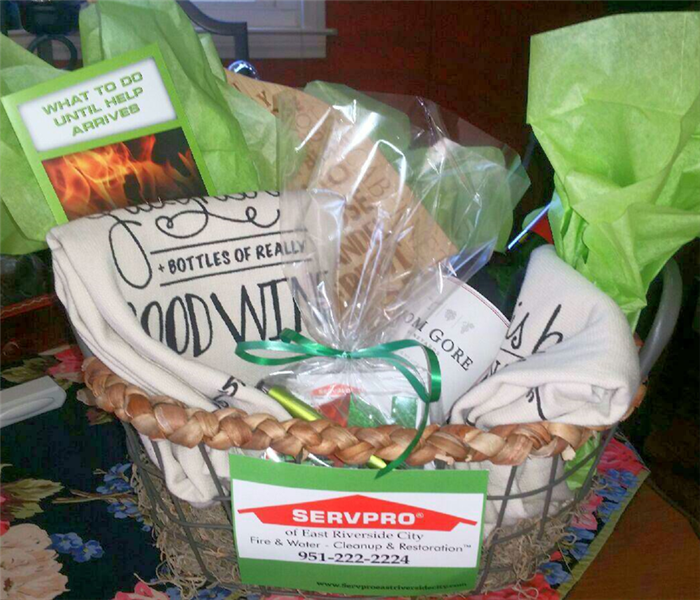 SERVPRO of East Riverside had the privilege of sponsoring this years Riverside Chamber of Commerce Golf Tournament. This is a view of our table where we had games and prizes, meet a lot of fun people and a great afternoon on the golf course. We look forward to seeing you all again next year! 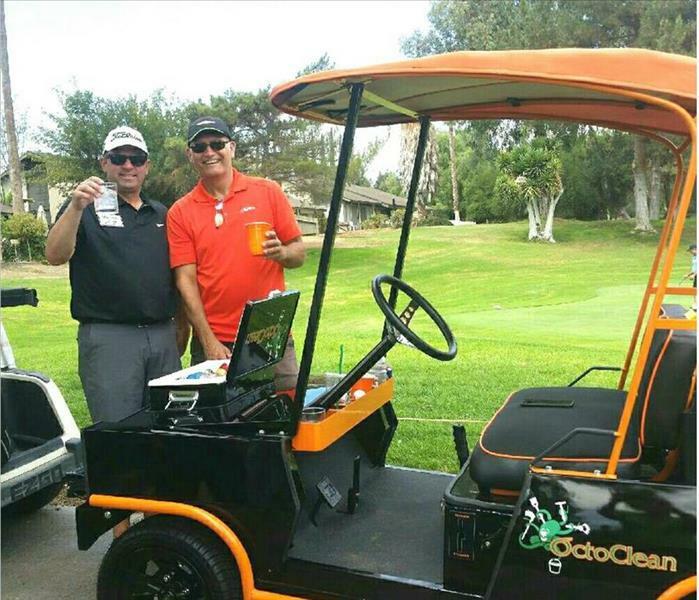 Owner, Thomas Schmidt, with some of the golfers at this years Chamber of Commerce Golf Tournament help at the Jurupa Hills Country Club.